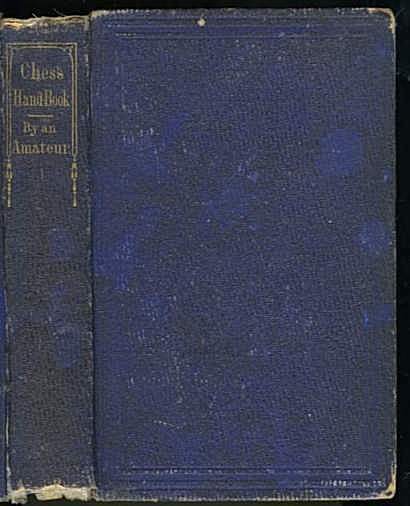 The Chess Handbook: Teaching the Rudiments of the Game,a nd giving an Analysis of all the Recognized Openings. 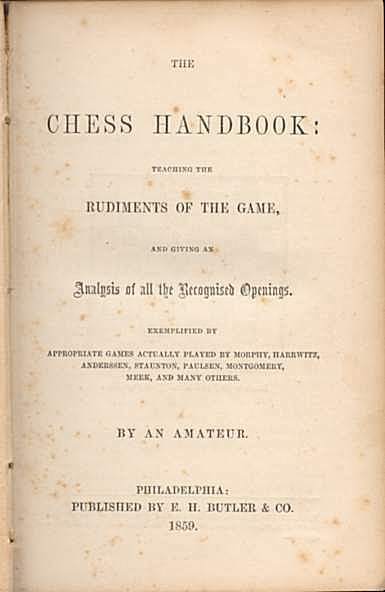 Exemplified by appropriate Games actually played by Morphy, Harrwitz, Andersen, Staunton, Paulsen, Montgomery, Meek and man others. 256+[16 ad] pages with diagrams. duodecimo (6 7/8" x 4 3/4") issued in blue cloth with gilt lettering to spine. 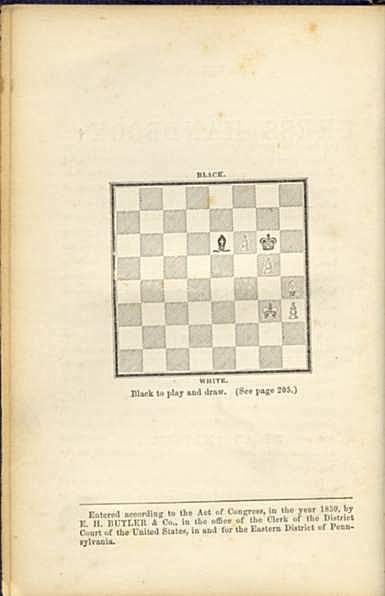 (Hagedorn: 50) First edition. Spine ends chipped, corners bumped and rubbed through, previous owner's names on front end paper and paste down, else a good to very good copy.